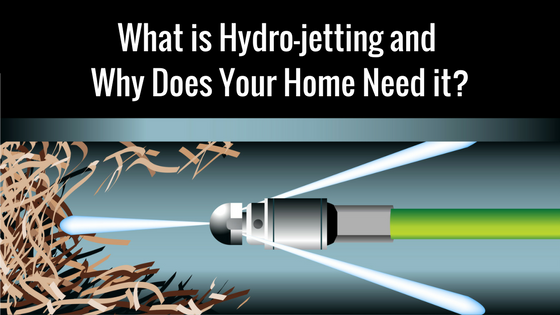 If you’re noticing recurring clogs or if you have tree roots invading your sewer line, then hydro-jetting could be the solution you need. It’s the most effective way to address a number of drain and sewer line issues when traditional snaking doesn’t clear the blockage and without all the trauma inflicted to aging pipes by mechanical snakes and rotating blades. Hydro-jetting is the process of using a high-pressure flow of water to scour the interior surfaces of the drain pipes, removing roots, grease and other debris that has built up or hardened inside the pipe walls over time. As opposed to rootering, where we use a tool to power a hole through the build-up, hydro-jetting achieves a comprehensive cleaning of the pipes. *Blast those stubborn clogs away. Call Green’s Plumbing at (818) 880-8847 for a FREE estimate.